What happens when your metabolism essentially shuts down on you? “After what would be a normal work out for me and feeling the obvious fatigue I was experiencing, it became clear I had a bigger problem” says Betty Elite and AthleteBloodTest.com athlete Susan McNamee. She got into endurance sports later than most and the majority of Americans have resorted to a relatively sedentary life void of any major challenges. Not Susan McNamee! Susan opted to challenge herself by entering her first Ironman 70.3 as well as other races. After completing her first race she put the pedal to the metal completing 4 Ironman races, several Ironman 70.3 races, running races, and much more in the next 3 years. She was having so much fun that she didn’t notice her body was slowly shutting down. It was during an open water swim prior to two key races that she realized that something was “off.” Her whole body felt like “dead weight with no energy, even mental fatigue.” She tried to see if anything would be different on her bike as this is her strongest discipline. Once things didn’t feel any better, she knew something more fundamental was going on more than just an off day. She began seeking answers, which included seeing her primary care doctor, various specialists, and performing her own research. After it all, she was still left without answers and without improvement. Susan decided to request a blood panel through her primary care doctor. She had enough working knowledge to know what tests may provide insight into what was going on. The tests were performed and her doctor shared the results. “Everything is within normal ranges”. Susan was again left without an answer. Ironman Canada, the race she was preparing for came. Susan decided to toe the starting line. Within the first half of the swim she could tell that she didn’t have it. She’s used to finding the dig deep zone. Susan couldn’t dig deep. There was nothing there. While holding onto a kayak she decided to pull herself from the race. Frustrated by the inability to properly identify why she was feeling so lethargic, Susan decided to use AthleteBloodTest.com with the encouragement of her coach. Long story short, Susan found the answers she was looking for through AthleteBloodTest.com (ABT). 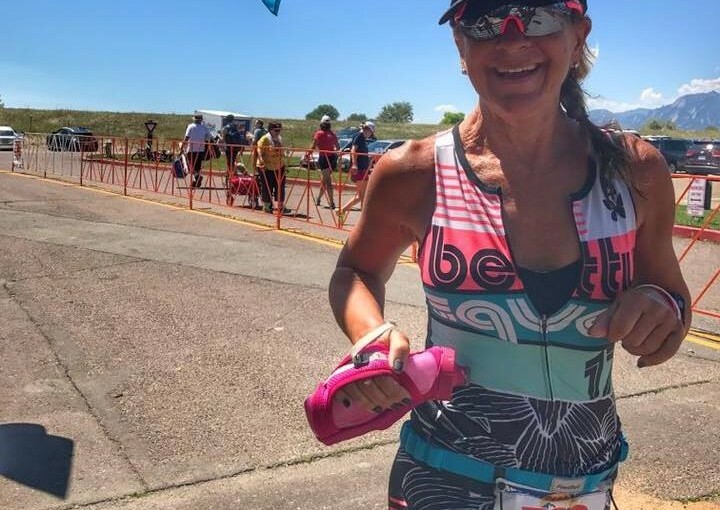 With the help of ABT, Susan has had her best year ever, qualifying for the Ironman World Championship 70.3, signing with Team Betty, and having more fun than she’s ever had training and racing. Susan now realizes how important it is to consistently monitor her physiology. AthleteBloodTest.com has played a big role in her successes. By identifying special nutritional needs, recovery needs, and physiological tendencies unique to her, she has been able to find consistency in her training and racing. Susan has avoided the problems that caused her body to crash before. Most importantly, Susan is able to enjoy training and racing more because she is feeling good! Previous Previous post: Ever wondered how a pro triathlete such as Thomas Gerlach processes AthleteBloodTest.com insights?! Next Next post: Understand the importance of knowing your physiology and how it’s directly correlated to your performance. Listen to the expert, The Happy Athlete.